In the very first episode of Game of Thrones, “Winter Is Coming,” Illyrio Mopatis (Roger Allam) gifts Daenerys Targaryen (Emilia Clarke) three petrified dragon eggs from the mysterious Shadow Lands beyond Asshai at her wedding to Khal Drogo (Jason Momoa). “The ages have turned them to stone, but they will always be beautiful,” Mopatis tells her. By the end of the season, both Dany’s brother Viserys (Harry Lloyd) and the Khal are dead, but Daenerys emerges from Drogo’s funeral pyre with three newly hatched dragons, the first to be born in hundreds of years. Daenerys names her dragons Rhaegal, Viserion and Drogon. Spoilers through the end of Game of Thrones Season 7 ahead! Daenerys’ dragon Rhaegal is named for Rhaegar Targaryen, Daenerys’ oldest brother and father to Aegon Targaryen (who we know better as Jon Snow). His scales are green and bronze. Rhaegal has no rider (yet), but frequently accompanies Daenerys, including to the Dragonpit, where Cersei correctly deduced that something had happened to one of Dany’s dragons. 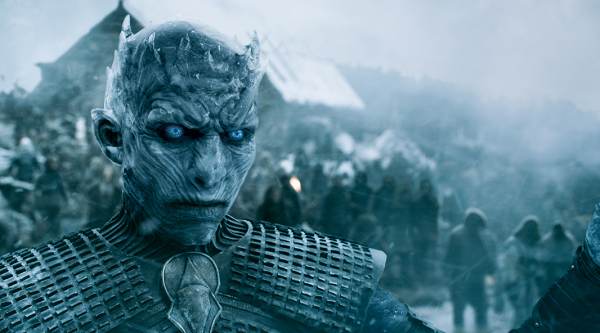 Named for Daenerys’ dead brother Viserys—he of the golden crown—Viserion was light brown in color until he was killed by the Night King in Game of Thrones Season 7 episode “Beyond the Wall.” After the army of the dead dragged Viserion’s body from a frozen lake, the Night King resurrected the dragon as a wight—an ice dragon. It was Viserion, with the Night King riding on his back, who melted the Wall, finally opening up Westeros to invasion by the White Walkers. Drogon, named after Khal Drogo, is the largest of Daenerys’ dragons, with red and black colorations. Daenerys rides Drogon into battle and the massive dragon has suffered several flesh wounds, including from Qyburn’s scorpion. Drogon is the most dangerous of Dany’s dragons, often terrorizing the surrounding countryside. 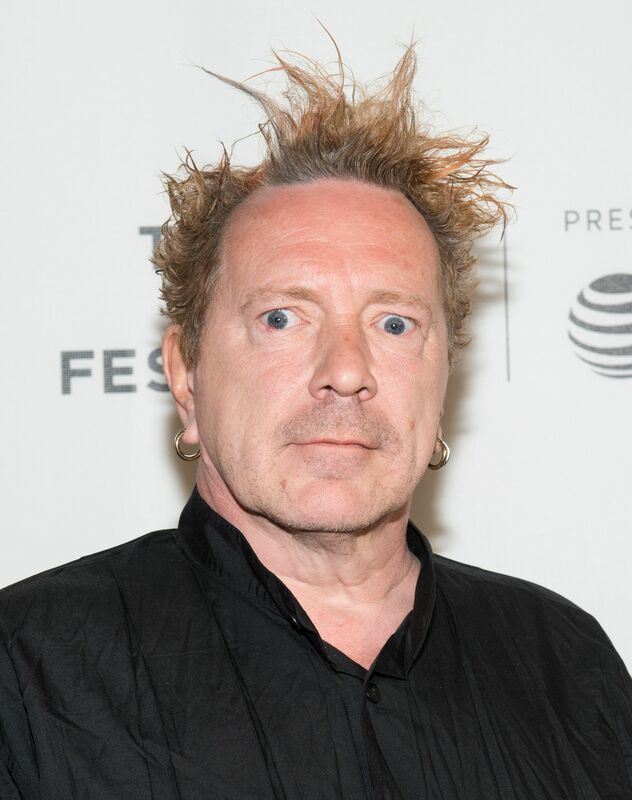 He is also Daenerys’ executioner, burning those who refuse to bend the knee, including Samwell Tarly’s father Randyll and younger brother Dickon. 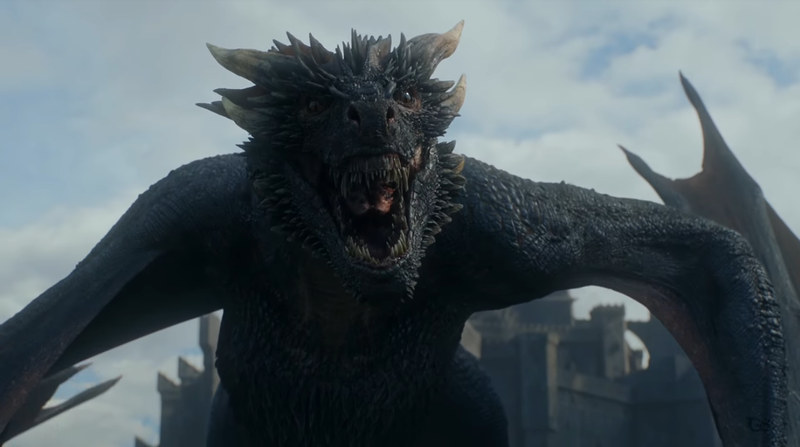 While Rhaegal, Viserion and Drogon are believed to be the only living dragons in the world of Game of Thrones, they’re part of a long line of significant dragons spanning the history of Westeros and the events leading up to Game of Thrones, beginning with Balerion the Black Dread. Approximately three hundred years before the War of the Five Kings, Aegon Targaryen and his sister-wives Rhaenys and Visenya invaded Westeros from their stronghold on Dragonstone (later occupied by the Baratheons and Daenerys), where they had lived since before the volcanic destruction of their ancestral home in Valyria. Riding three dragons—Balerion, Meraxes and Vhagar—the Targaryens conquered all of the seven kingdoms, except for Dorne. In one of the most dramatic acts of the War of Conquest, Aegon used Balerion to burn the massive castle Harrenhal, which is still a half-melted ruin in Game of Thrones. Balerion’s fire also forged the Iron Throne. Balerion, Meraxes and Vhagar were believed to be the last surviving dragons from Valyria, though dragons pop up in cultures all over Essos. 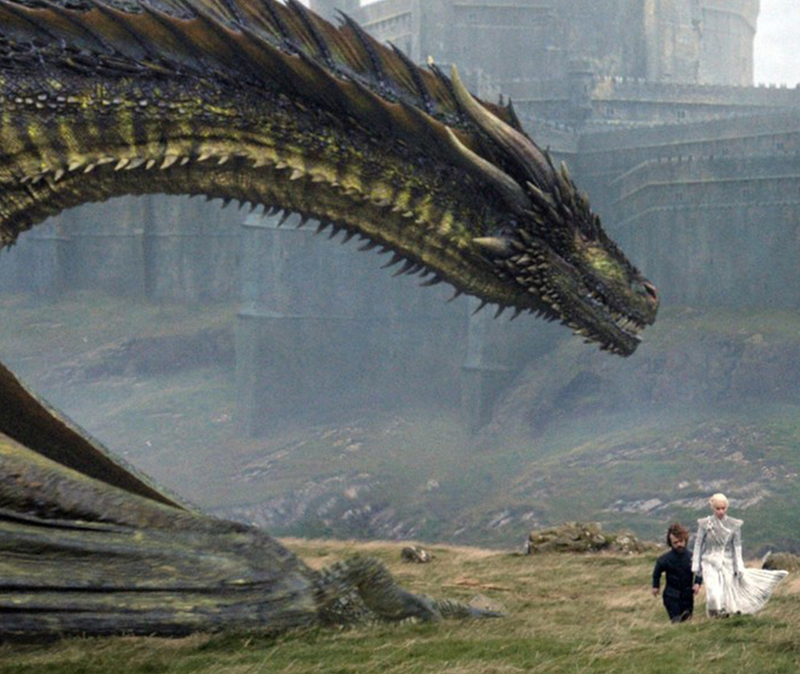 Legends of ice dragons, sea dragons and wyverns are pervasive in Westeros. But all subsequent dragons born in Westeros are descendants of the three dragons the Targaryens used to conquer the continent. Daenerys hatched her dragons with a combination of “Fire and Blood”—also the House words for the Targaryens—by both roasting the dragon eggs and sacrificing the witch Mirri Maz Duur (Mia Soteriou). But dragons aren’t back solely because of Daenerys Targaryen. 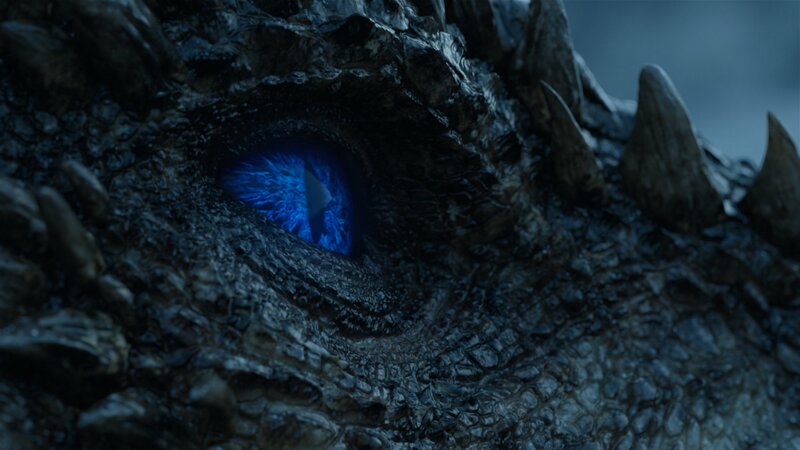 Dragons are somehow connected with the magic returning to the world, which likely also has something to do with the reappearance of the White Walkers. So while Daenerys’ dragons are miraculous, it’s possible they won’t be an exception in this new age, especially because there are likely other dragon eggs out there. In George R.R. 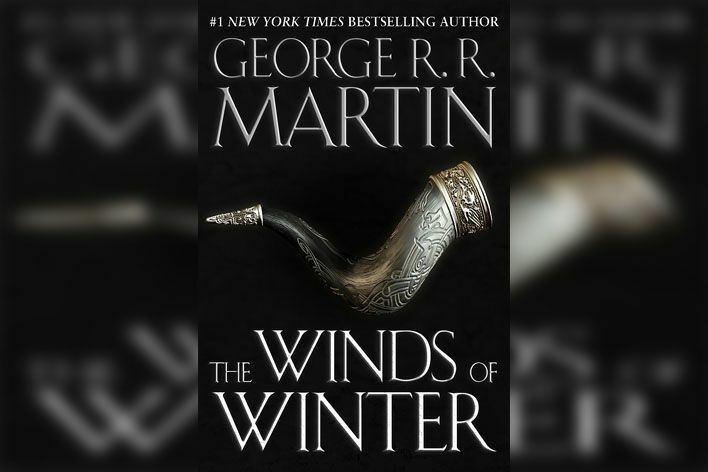 Martin’s A Song of Ice and Fire series, there are many rumored dragon eggs. Each of the Targaryen children were gifted one in their crib and not all have been accounted for. Euron Greyjoy claims to have once possessed a dragon egg, which he threw into the ocean after failing to hatch it. It’s also rumored that a clutch of dragon eggs is hidden somewhere on Dragonstone, though searches by Stannis Baratheon and Mace Tyrell both came up empty. In lore compendium The World of Ice & Fire, a court jester claims that the dragon Vermax hid a clutch of eggs somewhere beneath Winterfell, perhaps in the northern castle’s expansive crypts. 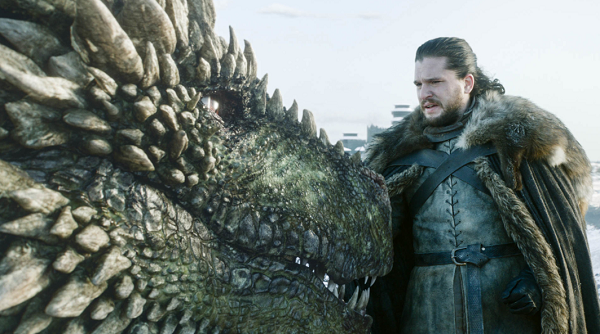 Whether more dragons are ever hatched in Westeros, Drogon and Rhaegal will likely fly the skies of Westeros for decades after the events of Game of Thrones—assuming they survive the war with the Night King. 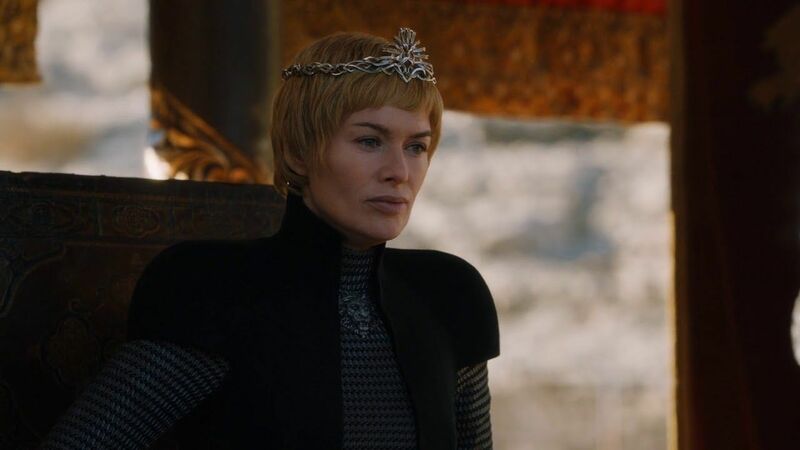 But determining their ultimate fates will have to wait for Game of Thrones Season 8, which premieres on HBO beginning April 14.